KORG is now offering a free ‘lite’ version of its music production software, Gadget studio for Mac. Curious about KORG’s music production software Gadget but not super keen to fork out for the full format? They’re now offering a free ‘lite’ version. Gadget for Mac was released back in March with a fairly hefty price tag of $200. The software augmented KORG’s iOS app for desktop users, combining over 30 synths and instruments (which KORG call ‘gadgets’) with a mixer, sequencer and effects. 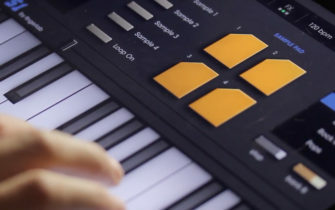 KORG Gadget lite only features five of the ‘gadgets’ (including a drum machine and some synths) and limited MIDI support, but its a good introduction to the software for any curious producers. KORG have also revealed a new update to the full version of the software. The biggest change being a new gadget called ‘Milpitas’ which can produce sounds with the help of a temporal tone modulation sound generator and also utilise the tones from iWavestation. Check out KORG Gadget here.